Sadie Costello, Assistant Researcher, is an epidemiologist with an interest in occupational and environmental exposures, chronic disease and the use of DAGs and causal inference to understand bias. She received her PhD in epidemiology from the University of California, Los Angeles. Her doctoral work focused on environmental risk factors, specifically pesticide exposure, and Parkinson disease. 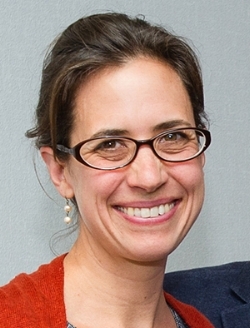 Sadie started at UC Berkeley as a postdoc in Ellen Eisen's group focusing on occupational exposures in large cohort studies of industrial workers.